What’s this!? A professional footballer winning a public vote, over a heavyweight boxing world champion and an F1 world champ. I didn’t see that coming. Generally, the British public prefers any sportsmen to footballers. But, as Gary Lineker pointed out last night, Ryan Giggs is a transcendent figure, liked by people who don’t even like football. His SPotY win was a shock – to Giggs himself , above all – but a welcome shock. For all of the bad stuff in football today, it’s great that a world-class model pro like Giggs gets this acclaim, even if it’s more of a lifetime achievement gong than based on his efforst in 2009 alone. Fabio Capello won the Coach of the Year award for his admirable work in charge of England. The prize he wants is in 2010, but this will do for now. 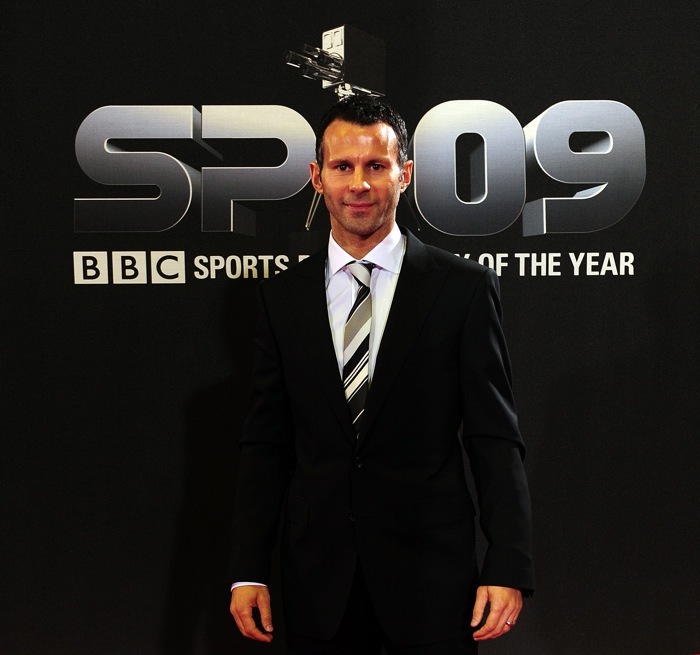 Ryan Giggs arrives for the BBC Sports Personality of the Year Awards. He might, perhaps, the most admirable footballer in the premiership today, but winning a title you’ve won 10 out of 17 and getting (very strangely considering the number of games he played) the PFA player of the year award to amount to having the greatest year in sport of his life. He should get the lifetime achievement though, any day. The only Man United player I can stand.